Fair. Staining to rear cover and last few pages at top inner corner **SHIPPED FROM UK** We believe you will be completely satisfied with our quick and reliable service. All orders are dispatched as swiftly as possible! Buy with confidence! Very Good. Trade paperback (US). Glued binding. 492 p. Contains: Maps. Irish Country Books, 6. In the 1930s, fresh from a stint in the Royal Navy Reserve, and against the wishes of his disapproving father, Fingal O'Reilly goes to Dublin to study medicine. Fingal and his fellow aspiring doctors face the arduous demands of Trinity College and Sir Patrick Dun's Hospital. The hours are long and the cases challenging. Very Good. 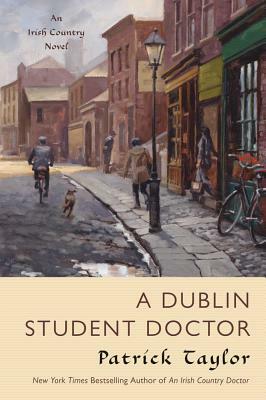 A Dublin Student Doctor (Irish Country Books) by Taylor, Patrick. Glued binding. Cloth over boards. With dust jacket. 492 p. Contains: Illustrations, black & white, Maps. Irish Country Books. Good. A Dublin Student Doctor (Irish Country Books) by Taylor, Patrick. Glued binding. Cloth over boards. With dust jacket. 492 p. Contains: Illustrations, black & white, Maps. Irish Country Books. Good. 0765326744 Ships from Tennessee, usually the same or next day. All pages and cover are intact. Spine and/or cover may show signs of wear. The book edges show some chipping. Edge rips are on the cover or spine. ~ Goodwill Industries of Greater Grand Rapids, Inc. is a non-profit organization dedicated to changing lives and communities through the power of work.